New Ferry rates effective April 1, 2016 for North Co-corp Ferry Services Ltd.
North Co-Corp Ferry Services Ltd. will be increasing their rates as of April 1, 2016. See the table below of the new rates or click here for a pdf version. The public comment period for the draft environmental assessment of Pacific NorthWest LNG 's proposed export terminal on Lelu Island is now open until March 11, 2016. Metlakatla Stewardship office broke down a few of the following conditions that need to be met if the designated project is ultimately allowed to proceed. The Metlakatla FIsheries Department would like to kindly remind members that as food fish season is nearing, members should contact the Communications Department to update household information and to register any children who haven't been registered yet in order to receive food fish. To register your child you can contact Cheryl Smith by calling: (250) 624-2154 or email her at: cjsmith@metlakatla.ca. 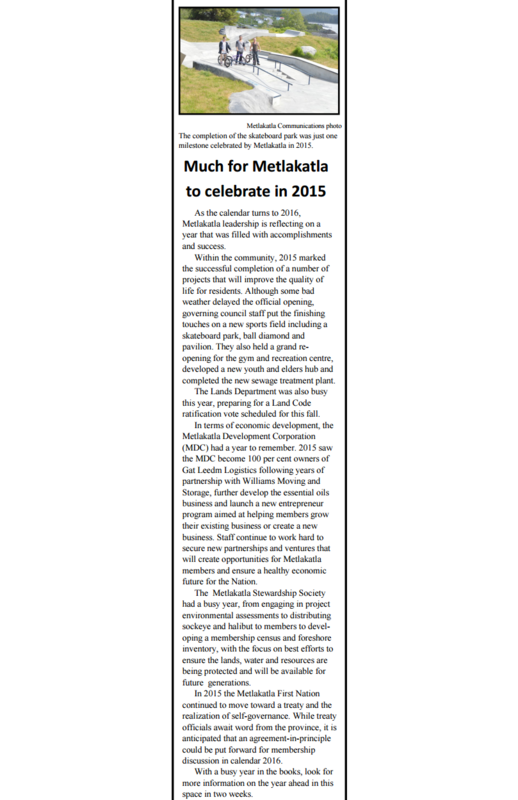 Metlakatla is in the process of ratifying a Land Code and, if passed, Metlakatla will join dozens of other First Nations from across the country in taking back control of our reserve lands. But what about the other First Nations who have passed Land Codes? Has it made a difference? Is it better than the current system under the antiquated Indian Act? The answer is a resounding yes, according to a 2014 study by world-renowned audit firm KPMG* . 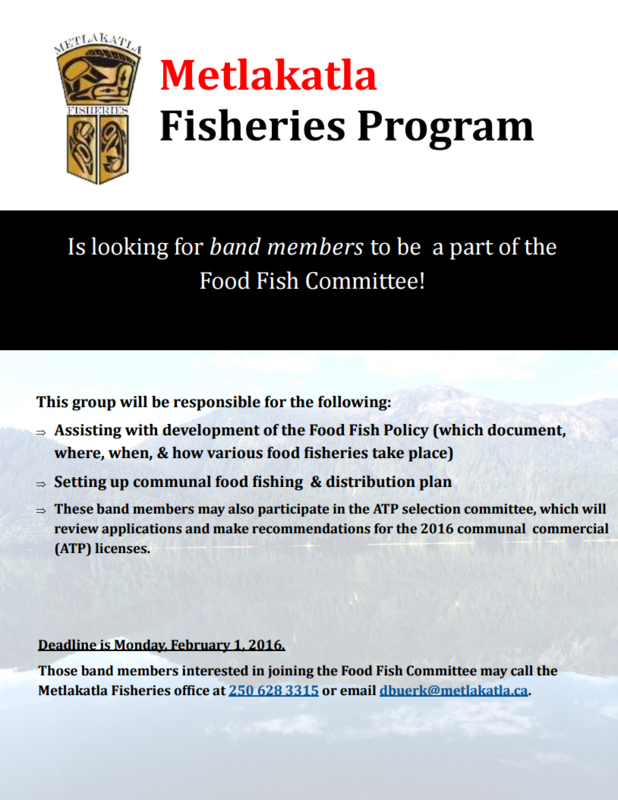 Do you want to be apart of the 2016 Food Fish Committee? Reminder from the Fisheries program! The Metlakatla Fisheries Program would like to remind all band members, in order to recieve any food fish this year from the Food Fish Program, you should be registered under The Deparment of Indian Affairs.